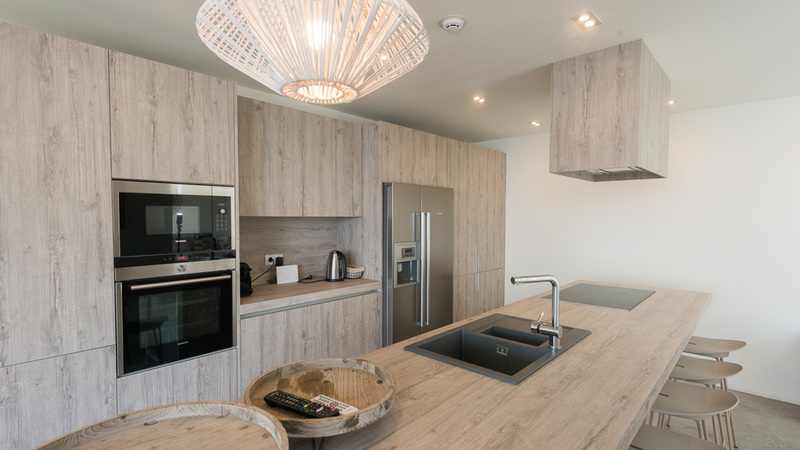 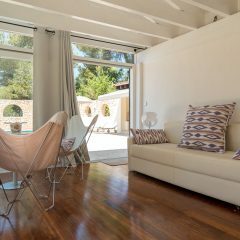 The Villa Unique is a tastefully furnished, modern villa located on a hillside on a 1.400 m2 plot at Can Furnet and can accommodate up to ten people. 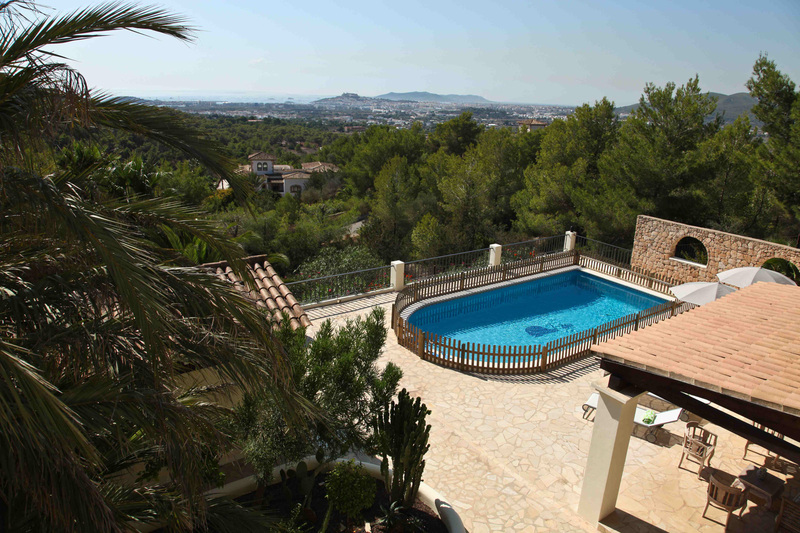 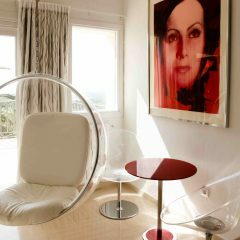 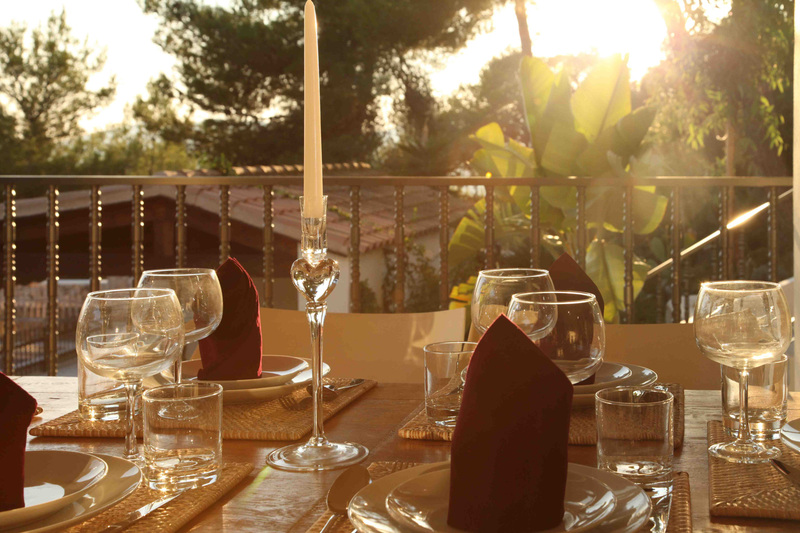 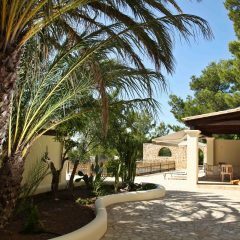 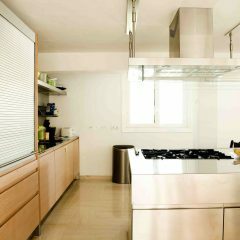 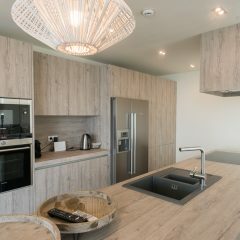 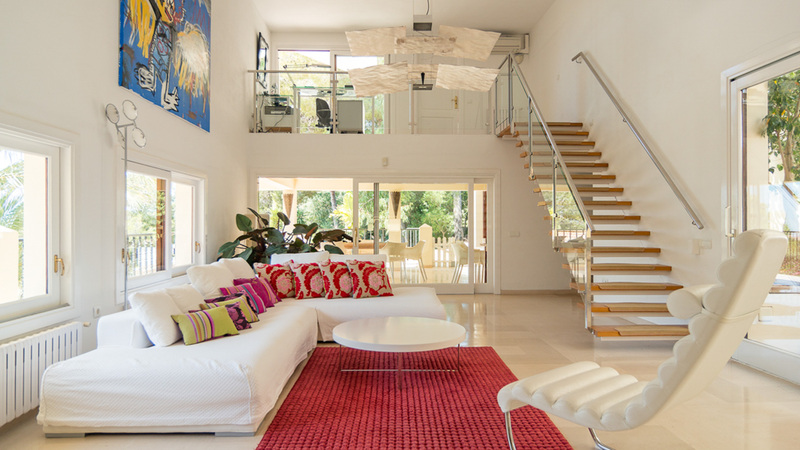 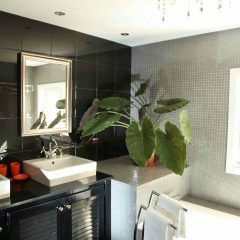 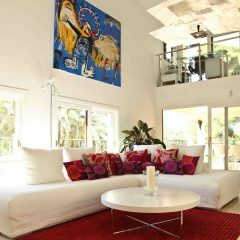 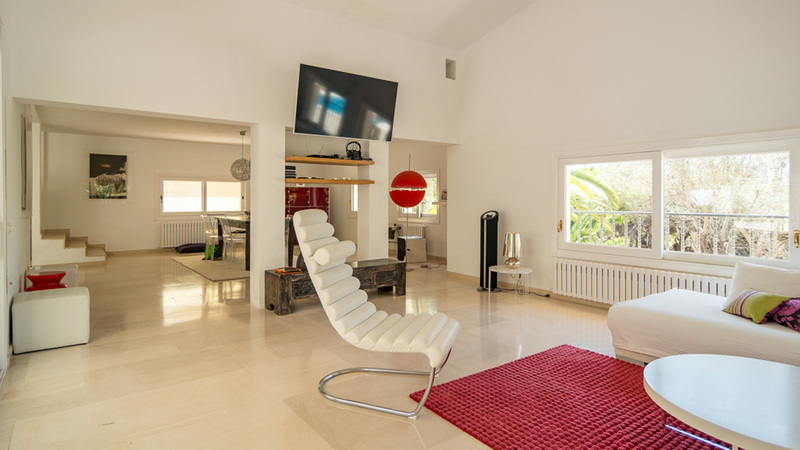 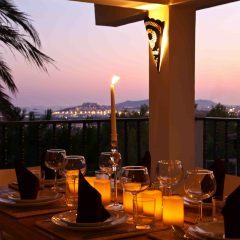 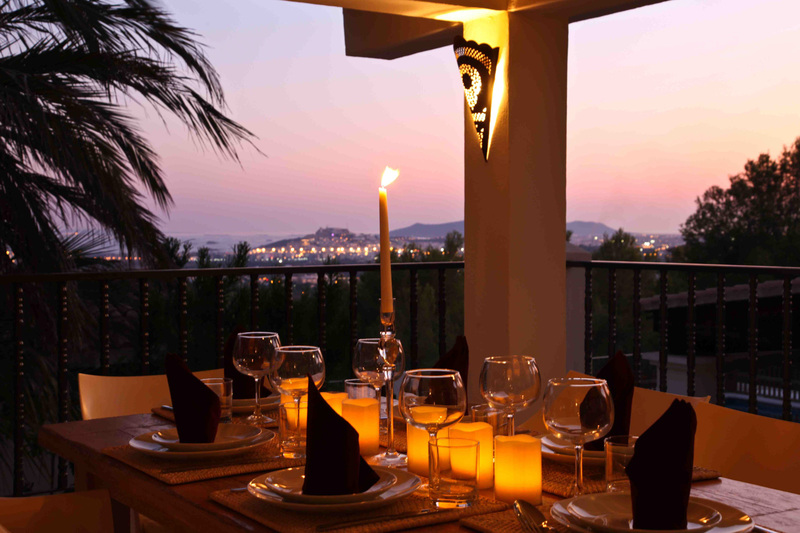 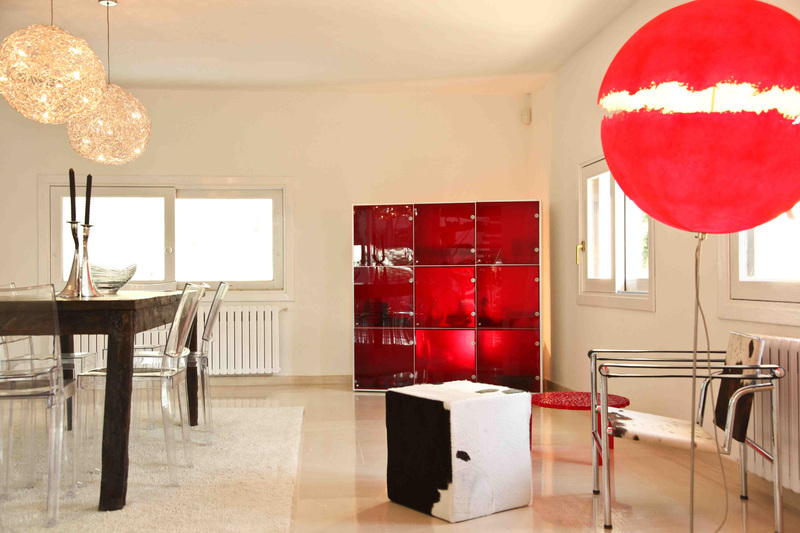 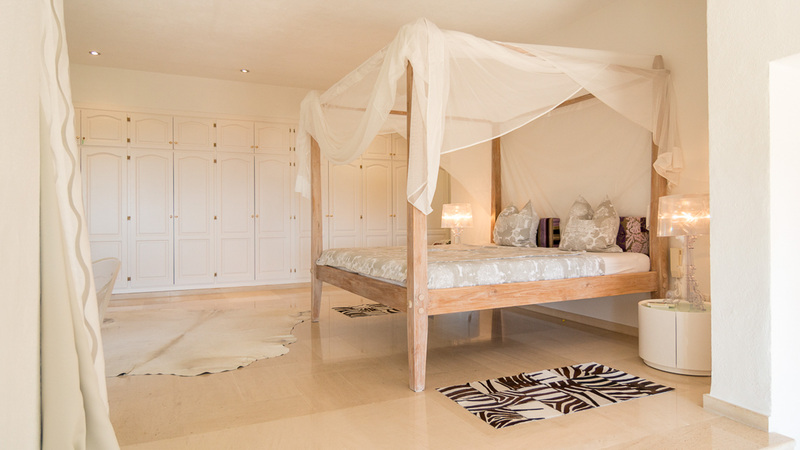 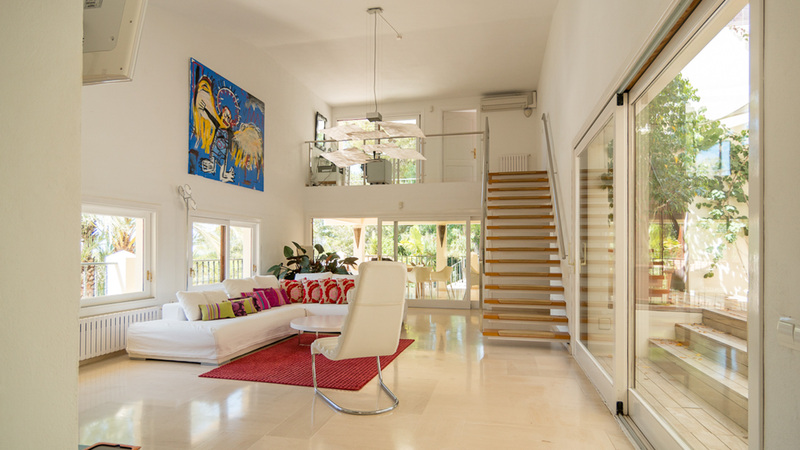 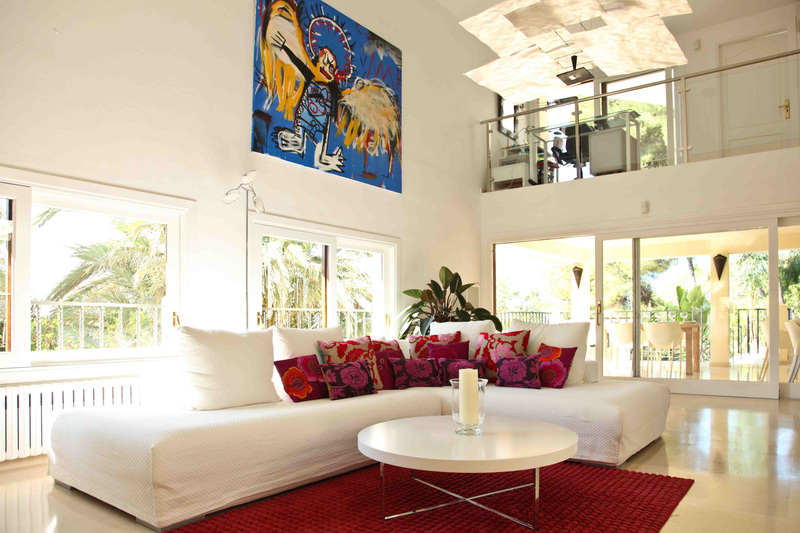 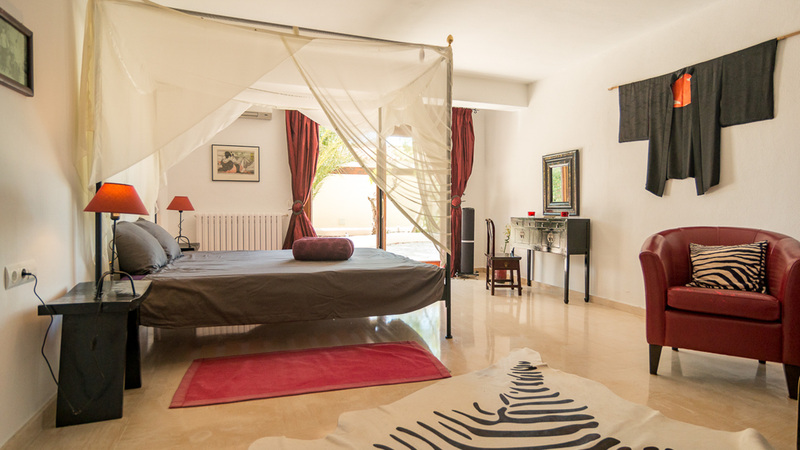 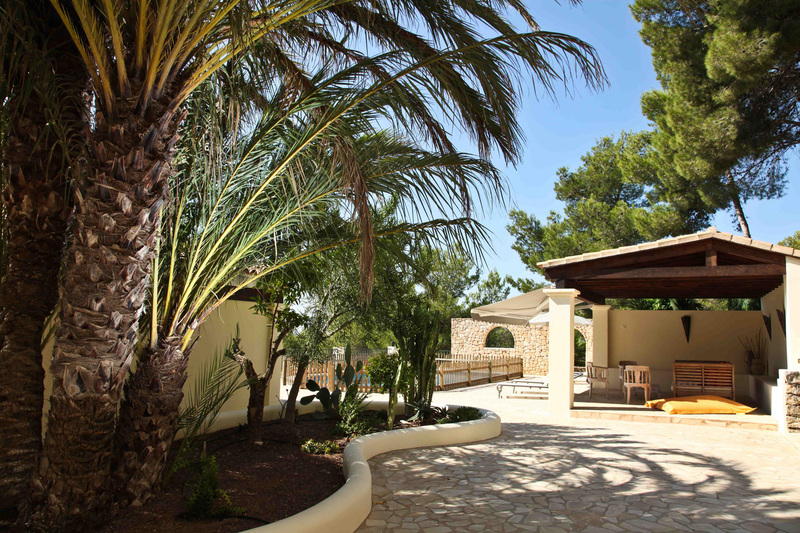 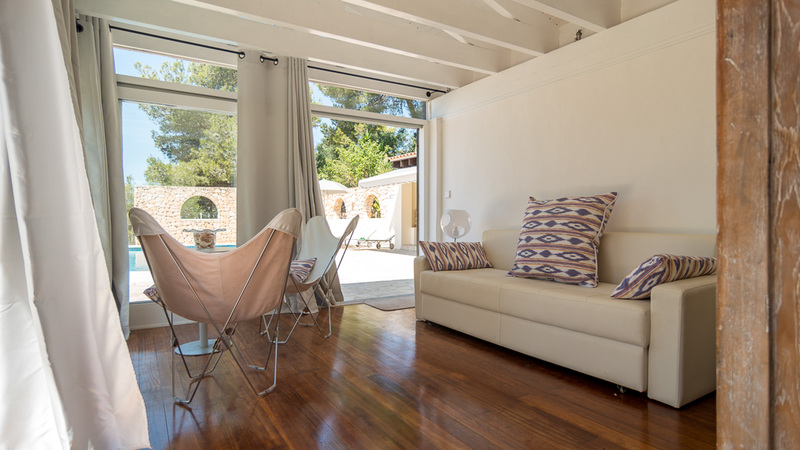 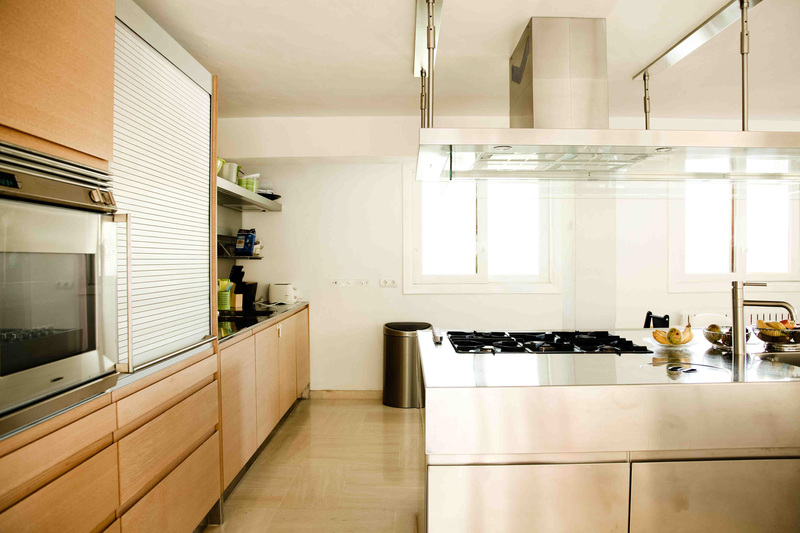 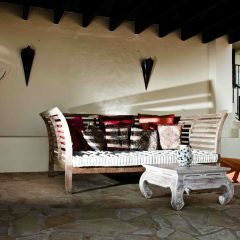 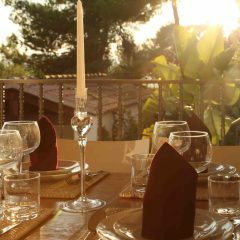 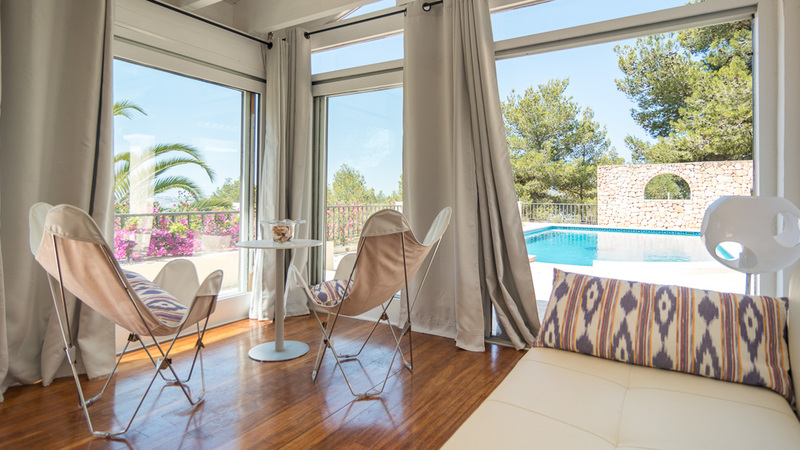 The property is located in an exclusive residential area and is surrounded by the beautiful nature of Ibiza. 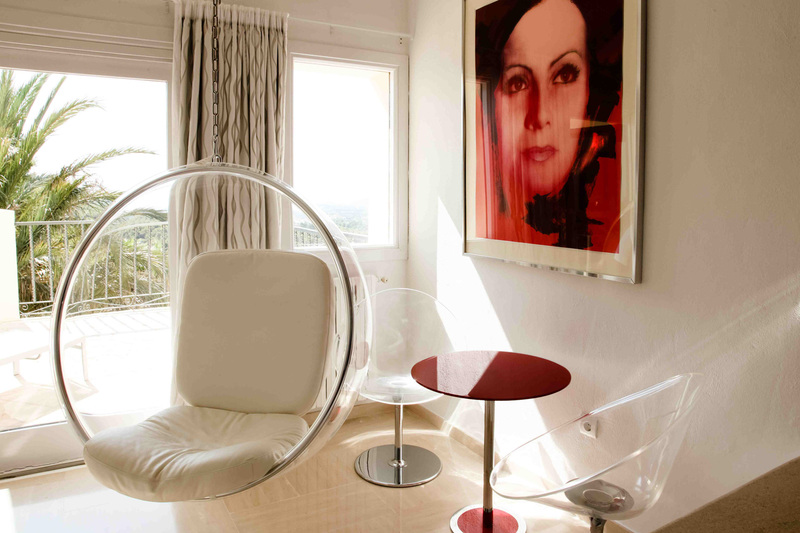 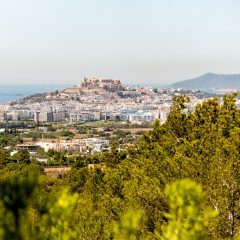 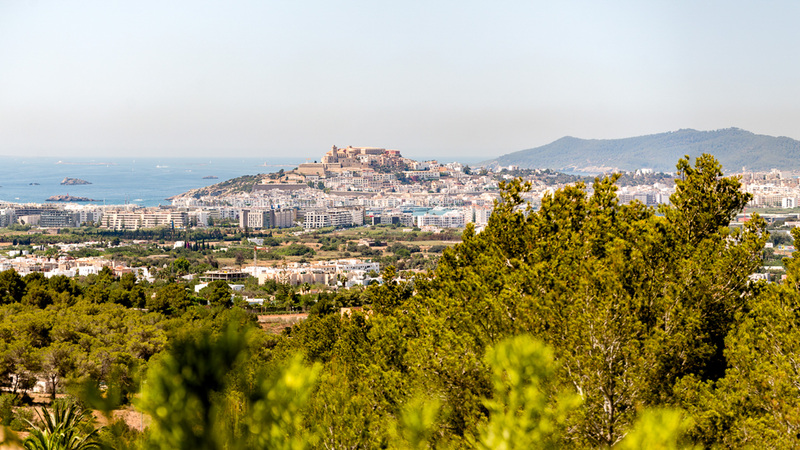 A fantastic panorama view on Ibiza Town to Formentera is a special highlight of Villa Unique. 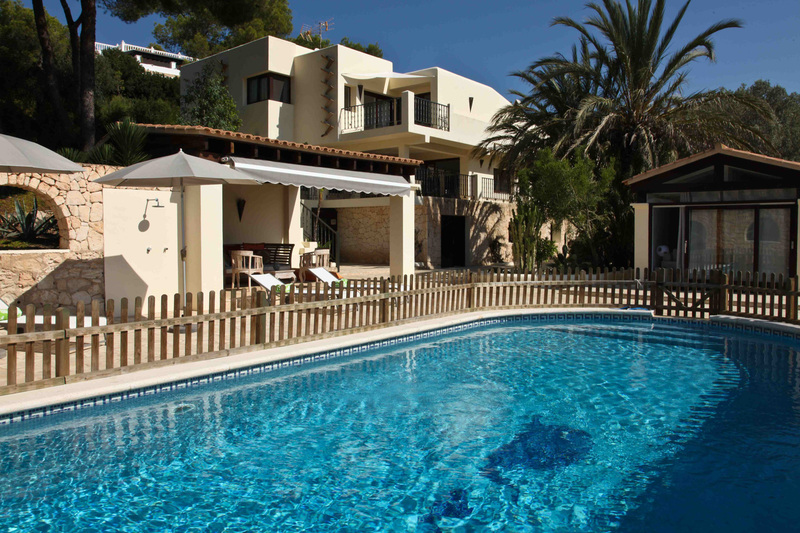 The beach of Talamanca is only a 10-minute drive away. 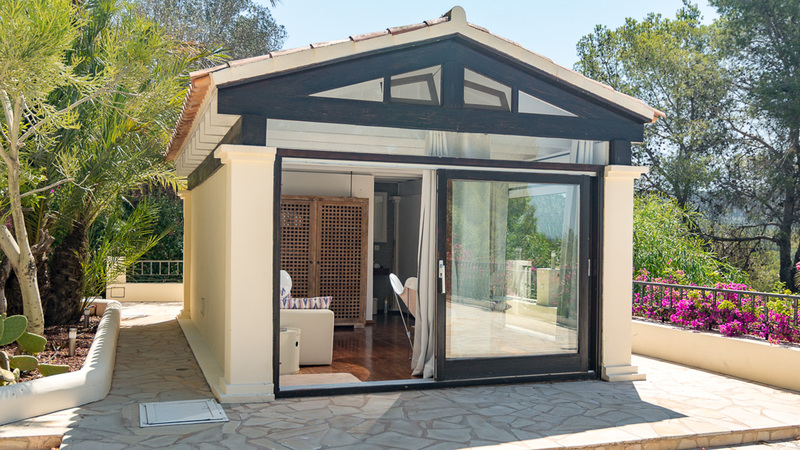 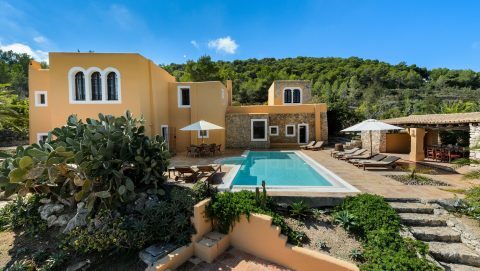 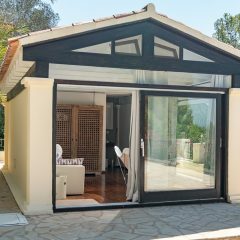 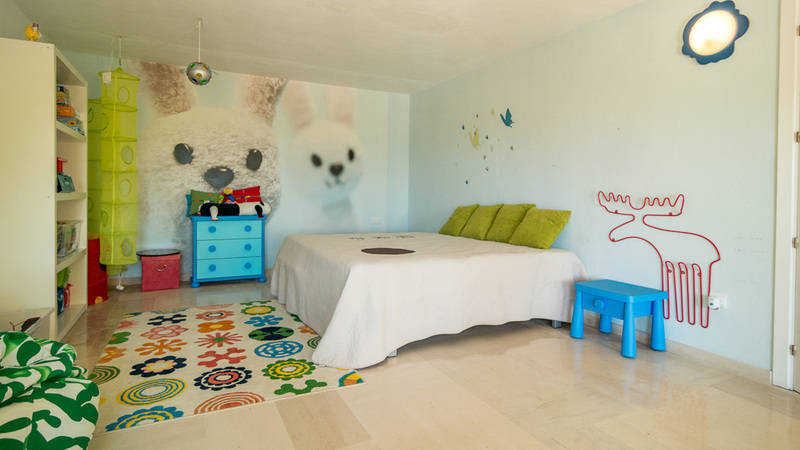 The villa itself covers 642 m² and is particularly suitable for families (up to 10 people) with small children, as the pool can be secured by a fence with gate (on request). 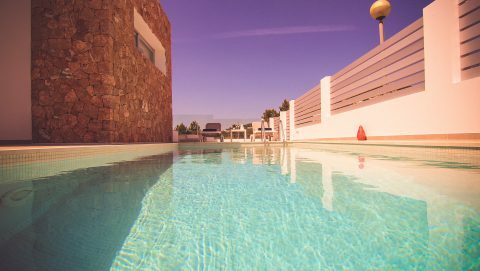 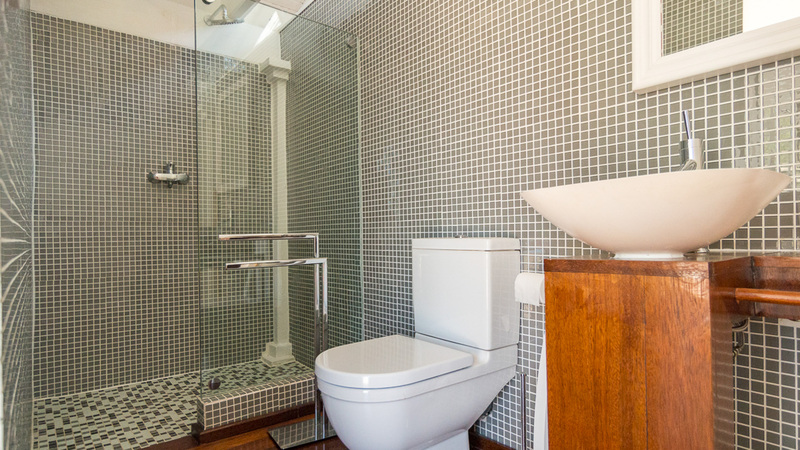 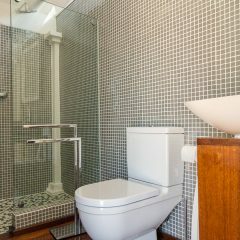 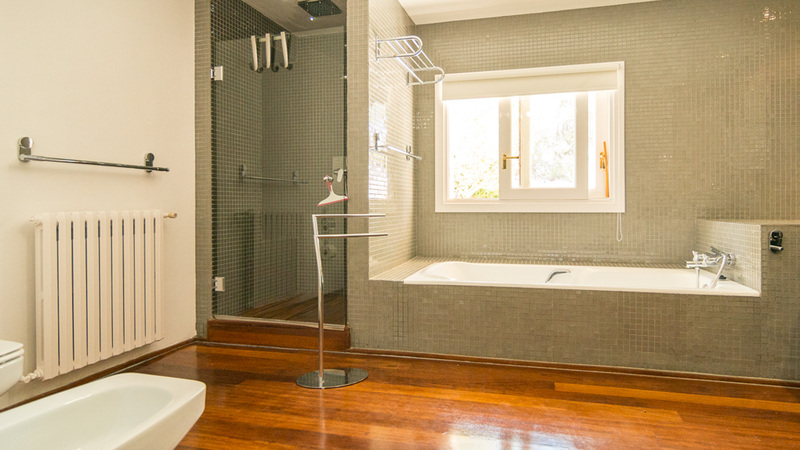 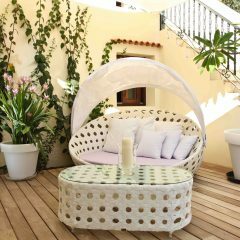 The large pool terrace has a separate studio with private bath and shower, the house is tastefully decorated and offers many exciting design elements. 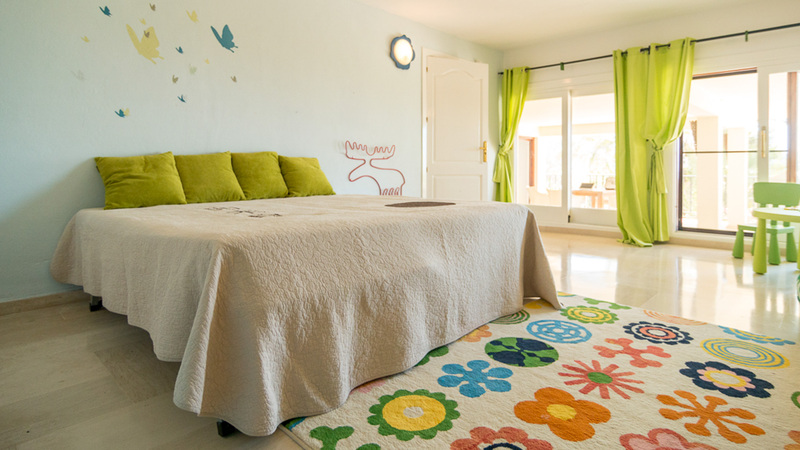 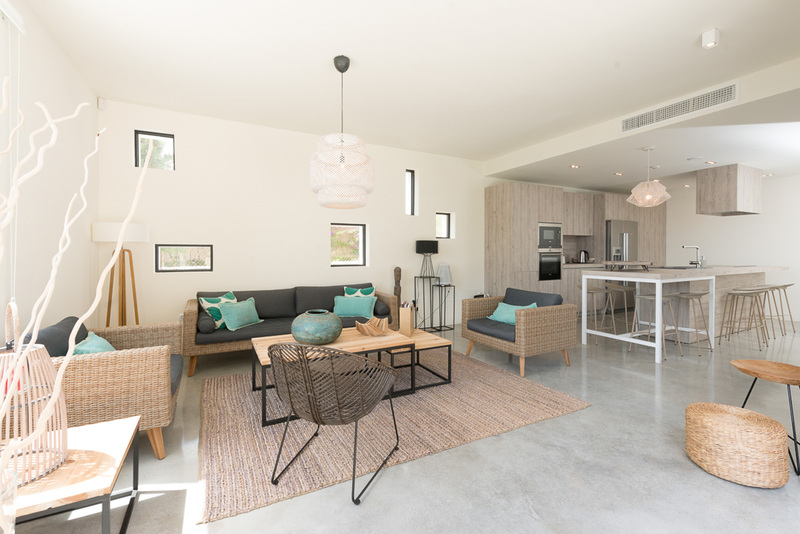 There are 3 double bedrooms, a children’s room and a studio with a pull-out sofa. 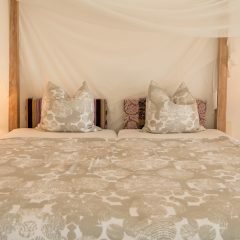 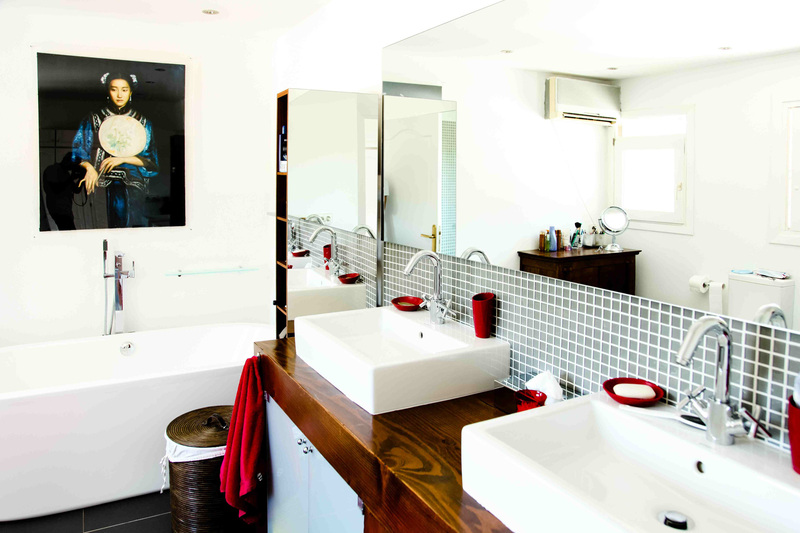 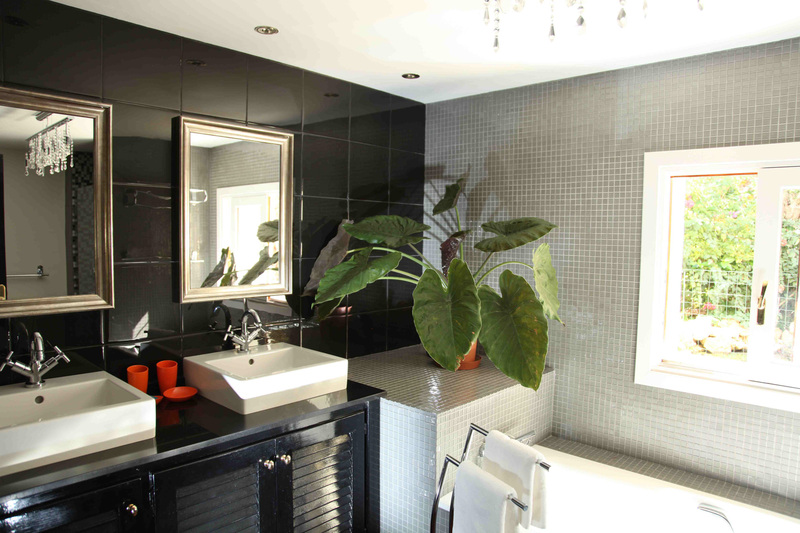 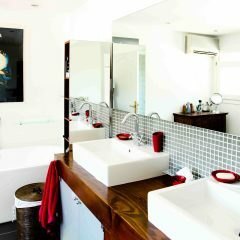 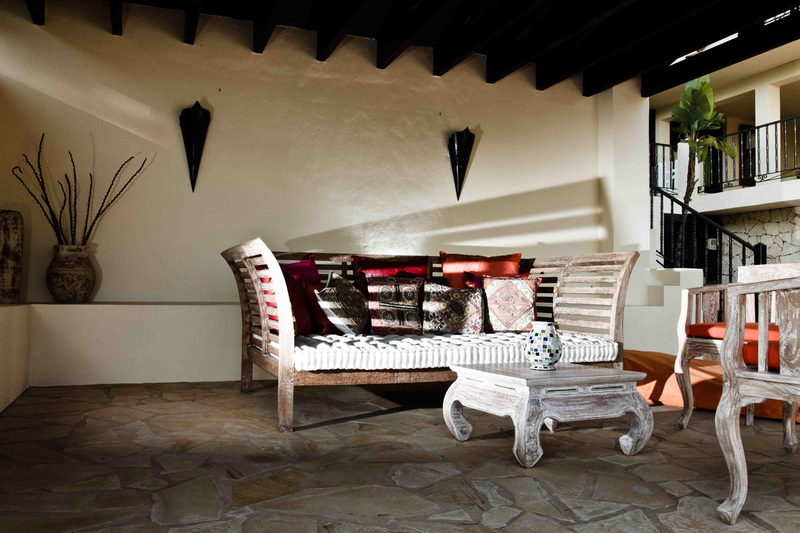 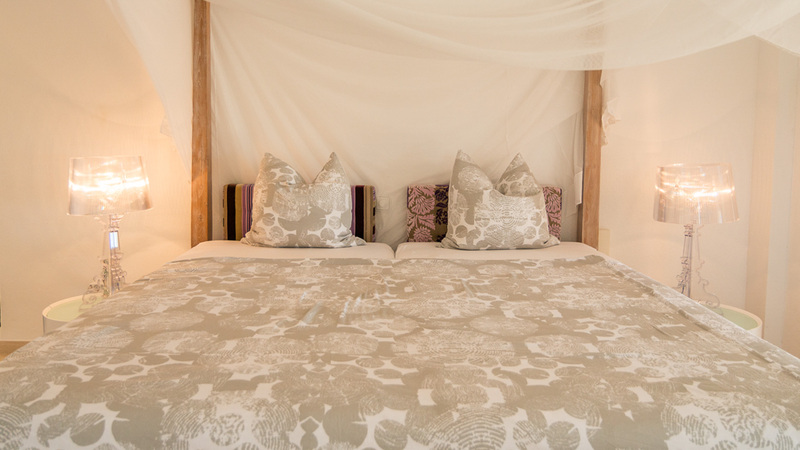 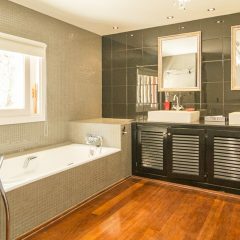 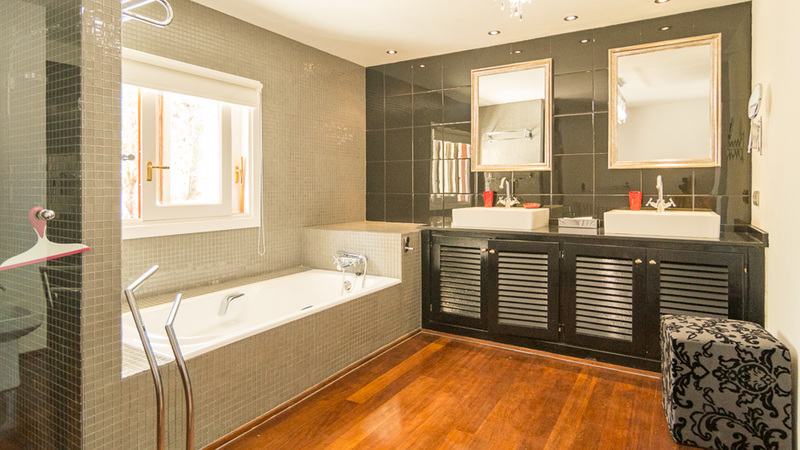 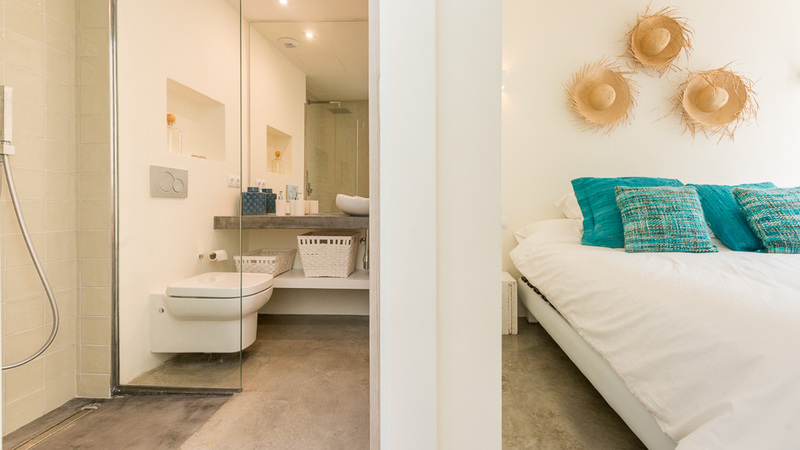 Each bedroom has a seating area and en suite bathroom. 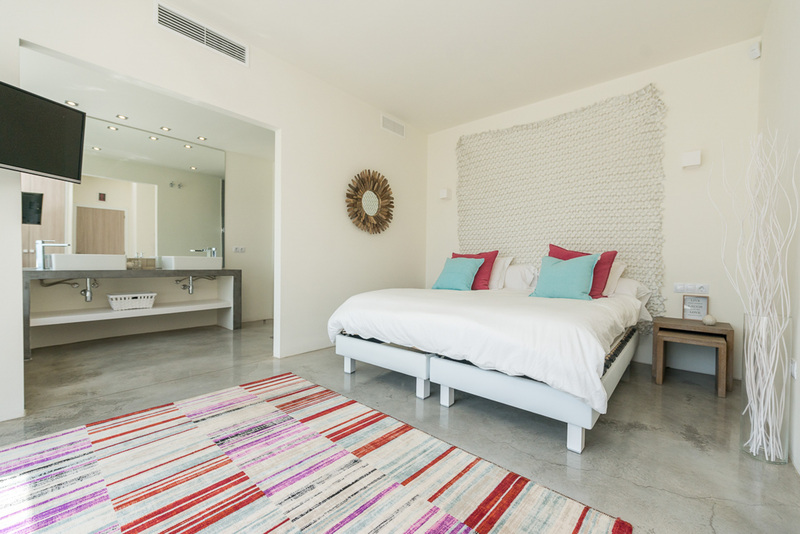 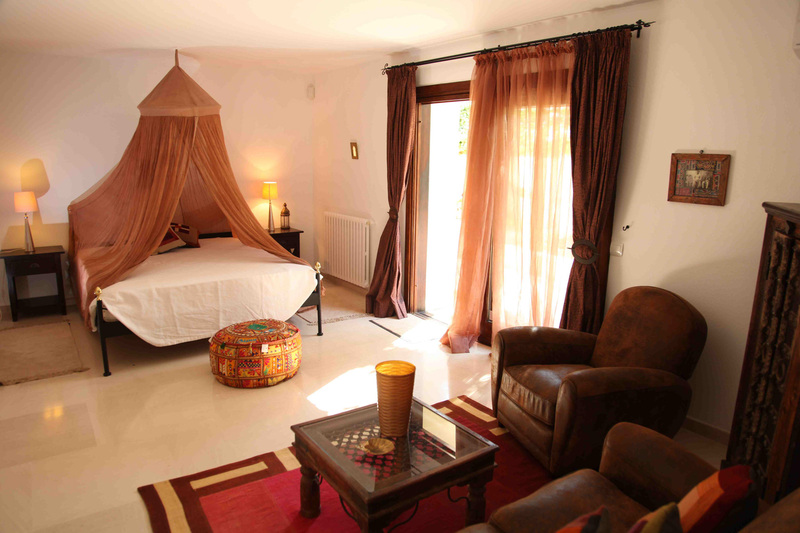 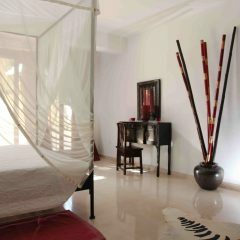 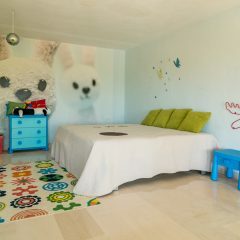 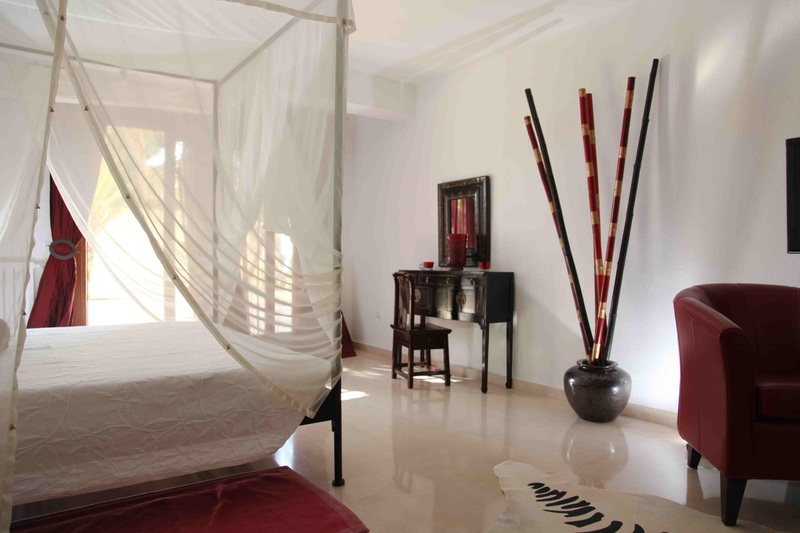 The lovely master bedroom also has its own small terrace overlooking the sea, the old town and the harbor. 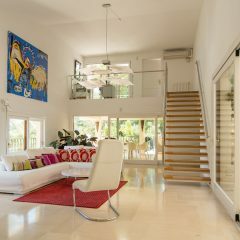 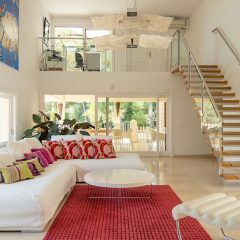 If you are with your family or your friends looking for a modern villa in a safe area, this property is the perfect choice.